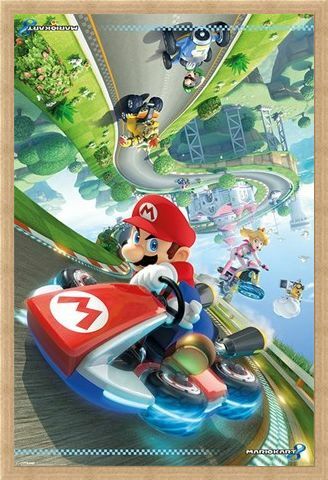 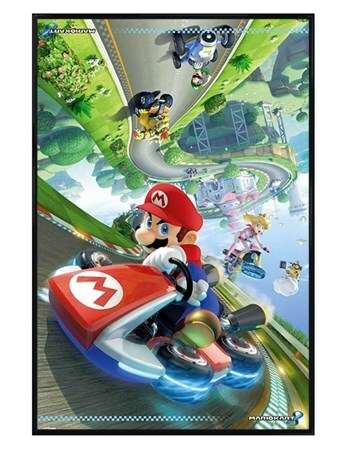 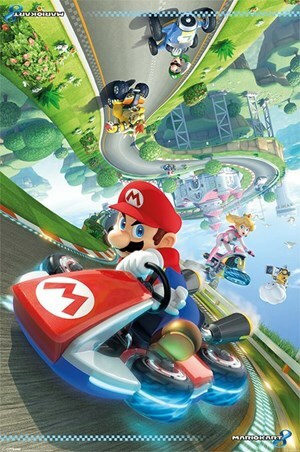 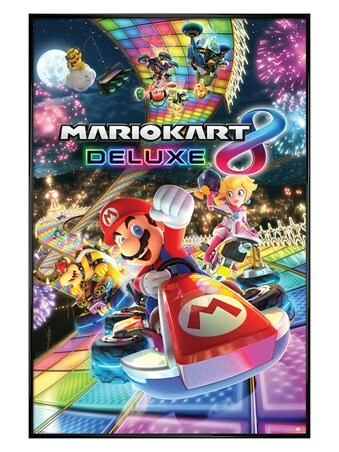 Children’s Maxi Poster: Make the most of Mario with this awesome maxi poster which features art work from the 2014 Nintendo Wii U game ‘Mario Kart 8’. Emphasising the game’s anti-gravity feature which allows Mario, Luigi, Princess Peach, Bowser and the rest of the karting team to flip their tracks, this vibrant poster is perfect for anyone who likes to burn some rubber. With a look of determination in his eyes and a smile under his moustache, the iconic Nintendo character is heading for 1st place in the Mario Kart 8 races. High quality, framed Flip, Mario Kart 8 poster with a bespoke frame by our custom framing service.